Although human beauty and attractiveness are generally subjective, there are some rules that dictate whether contours are aesthetic or not. This is true with your facial profile (specifically your chin). You can reshape your chin for a dignified look to your facial structure. Plano and Dallas, TX board certified facial plastic surgeon, Dr. Masoud at Saman ENT & Facial Plastic Surgery offers this facial cosmetic enhancement surgery. Facial proportions in regards to the chin revolve around the positioning and prominence of the chin relative to the base of the nose. 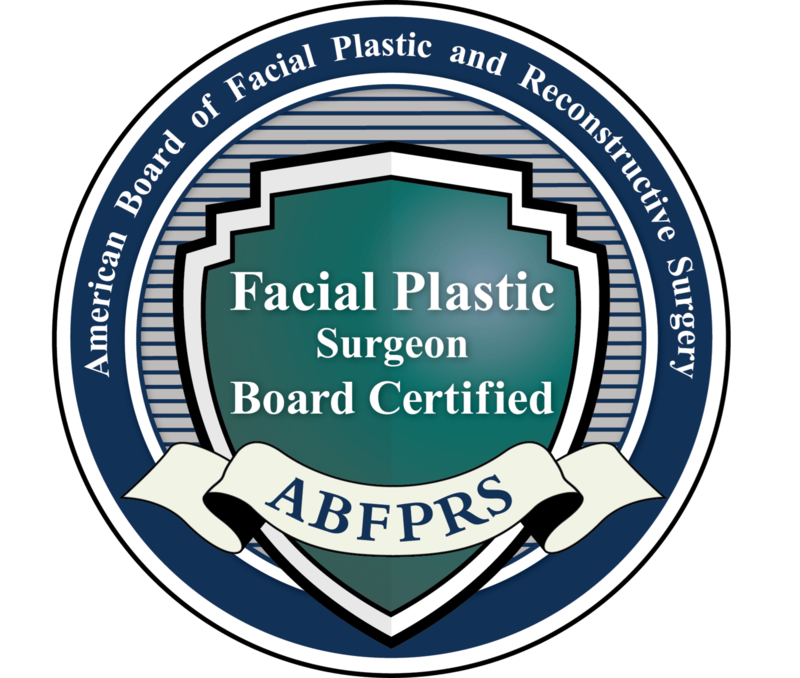 Therefore, it is not uncommon for a facial plastic surgeon to suggest supplementing a rhinoplasty with mentoplasty in order to balance the aesthetics. In addition, (when indicated) the actual chin bone can be advanced to avoid placement of an implant. This type of surgery can also help with snoring by pulling the tongue base forward. Call and schedule a private one on one consultation to learn more about being a candidate for chin augmentation. Join more than 1,500+ people on Instagram who follow Dr. Saman, @planofacedoc™ ! "Quick, amazing results! - I’m so happy with my results for my non-surgical rhinoplasty and non-surgical chin augmentation! I always felt slightly self-conscious about my facial profile (nose and chin) and I thought extensive surgery was the only option. However, Dr. Saman assured me my concerns could easily be addressed the same day with his non-invasive methods. I was numbed on my nose and chin followed by strategic n..."
All chin augmentation procedures are performed at the accredited and state-of-the-art surgical facilities in Plano, TX with the care of board-certified anesthesiologists for highest safety and quality of care. The new chin is developed by either reducing or augmenting its current position. Incisions are usually made inside the mouth or along the natural crease line beneath the chin to significantly reduce the visibility of scars. If the surgeon’s goal is to reduce the chin, then a bone burr or drill is used to reshape and sculpt it into a natural, but more petite look. If augmentation is needed, Dr. Saman may either affix an implant inside the soft tissue or advance the bone by actually separating part of the chin and moving it forward, holding its position with screws and specialized bone plates. Immediately after chin enhancement surgery, the chin can feel tender and stretched due to both the swelling and different skin shaping needed. This tight feeling of the skin will dissipate in about one week, while the swelling may take up to six weeks to fully subside. Additionally, Dr. Saman may suggest a liquid and soft food diet for a few days (for up to a week) after surgery. Any other post-operation discomfort can be controlled through prescribed medication. As with any facial plastic surgery, there are risks involved with chin enhancement that should be taken into account. Although they do not occur often, infections can develop in the chin or lip area depending on where the incision was made, for which antibiotics are prescribed. Patient dissatisfaction is also uncommon so long as the patient maintains realistic expectations throughout. Will It Improve A Double Chin? No. During your consultation with Dr. Saman, he will design a treatment plan for you that may include liposuction or Kybella nonsurgical neck fat reduction injections. A chin implant will redefine your chin and facial profile, but will not smooth out a double chin. Feeling numb in your chin and jawline is not uncommon for our augmentation patients. Your chin augmentation will take some getting used to as you adjust to the implant material in your chin. Many patients feel numb in the area for a few weeks. Over time, the nearby tissues and jawline structure will start to feel natural to you. Can You Hide My Scars? The great news about a chin augmentation is that scars are relatively easy to hide. The incision can be placed inside the mouth or under the chin within your natural jawline. The incisions are also incredibly small and will be very hard to see (if seen at all). Can You Reposition My Jaw? Genioplasty is a surgery that repositions the chin bone for reshaping purposes of the chin. Many surgeons would consider this facial reconstructive surgery. However, in some cases, an augmentation alone may not be enough to get the desired aesthetic result. You can combine a genioplasty with a chin implant and/or neck liposuction techniques.